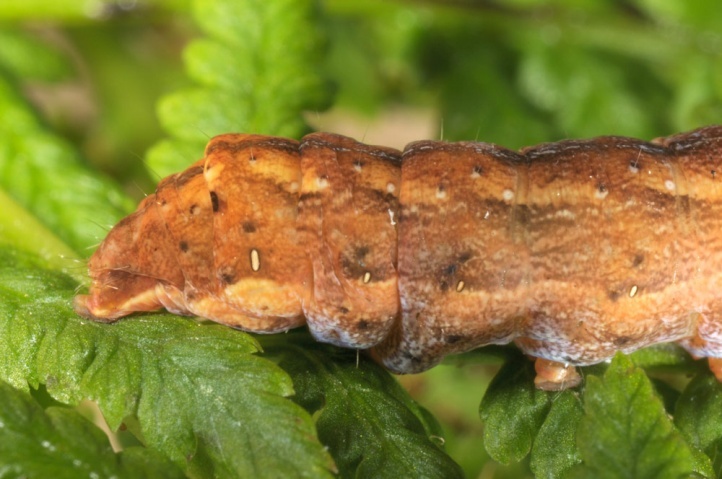 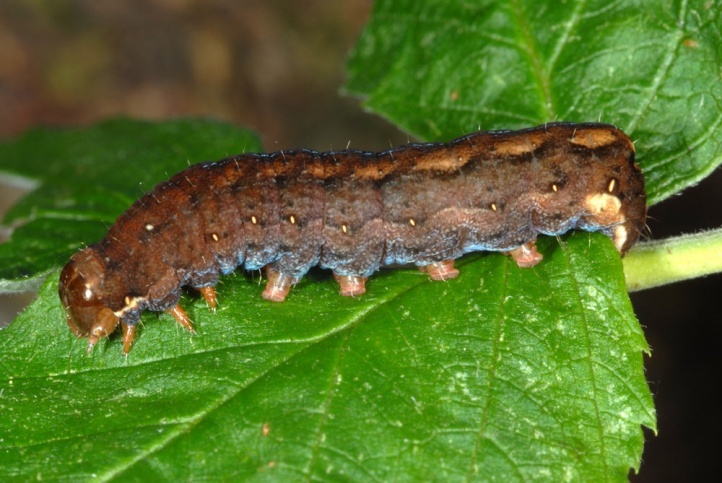 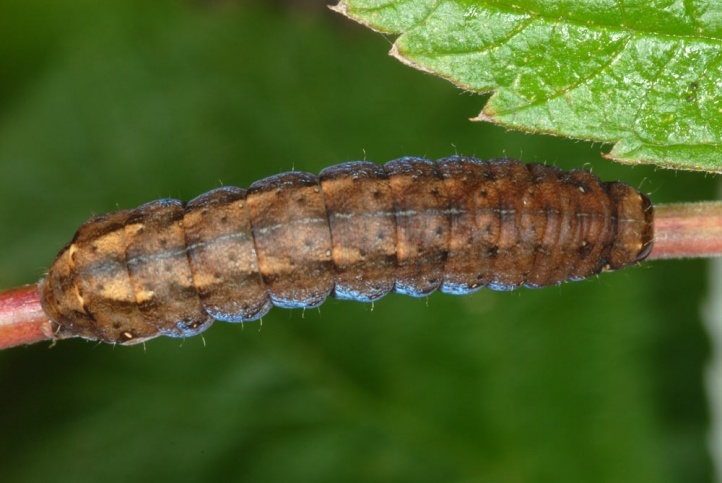 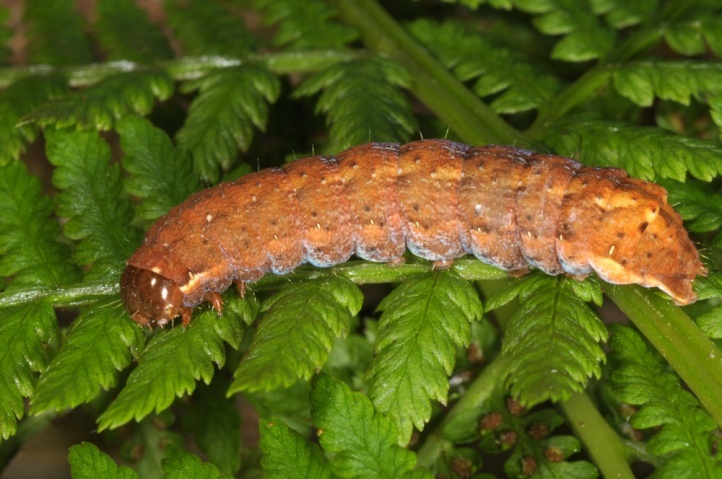 The caterpillar lives polyphagous on herbs and ground-level parts of shrubs (eg Vaccinium). 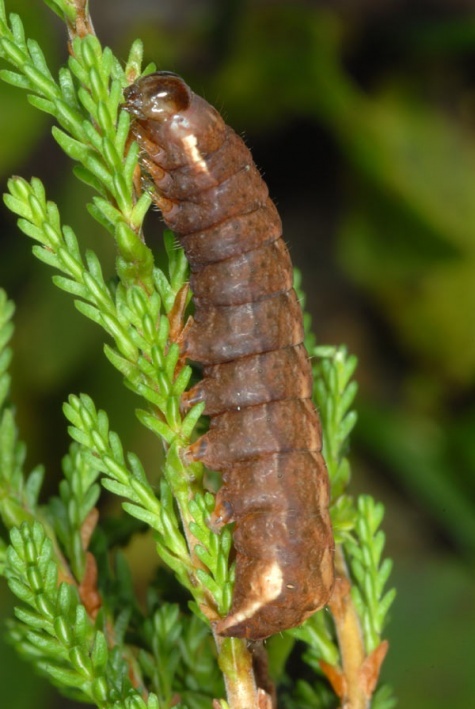 I found a caterpillar in penultimate instar in moulting rest in a Calluna-spot in a rather shady place between a forest trail and a clearing in the northern Black Forest at 1000m above sea level (October 2010). 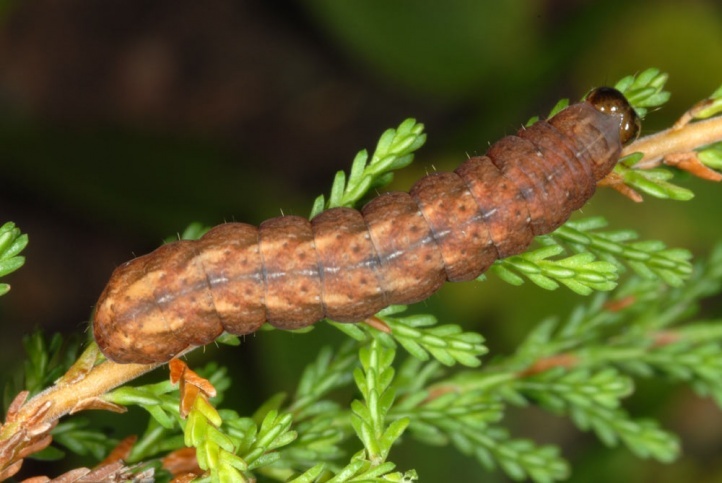 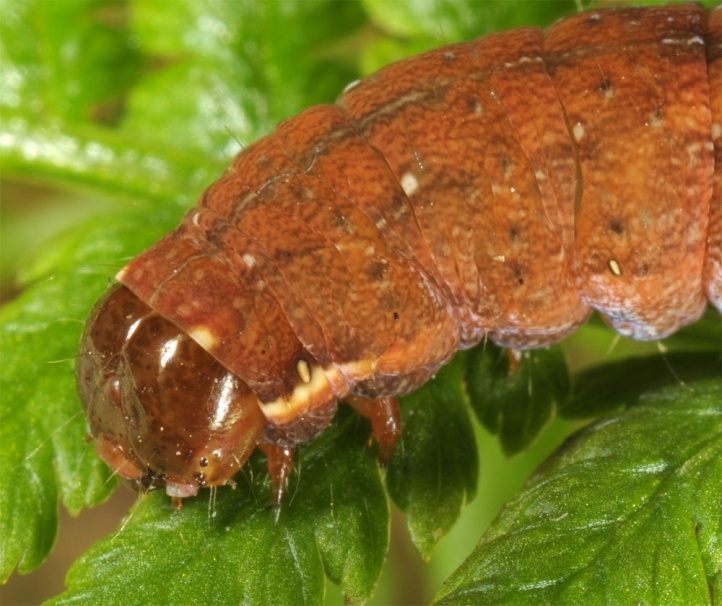 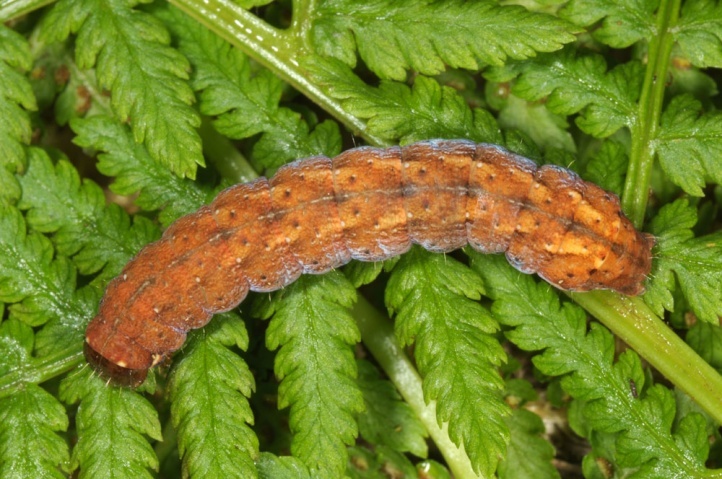 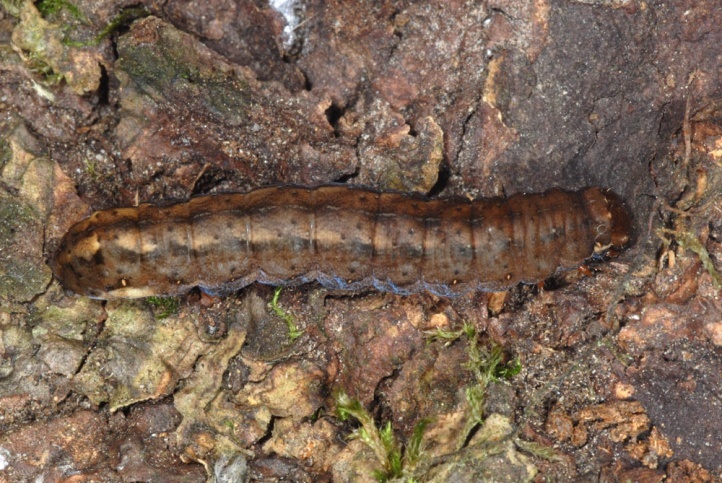 In late October 2012, I found a fully-grown larva in the northern foreland of the Alps in a bog forest resting at daytime at a fern leave with feeding scars around 40cm above ground (Ammersee, Bavaria). 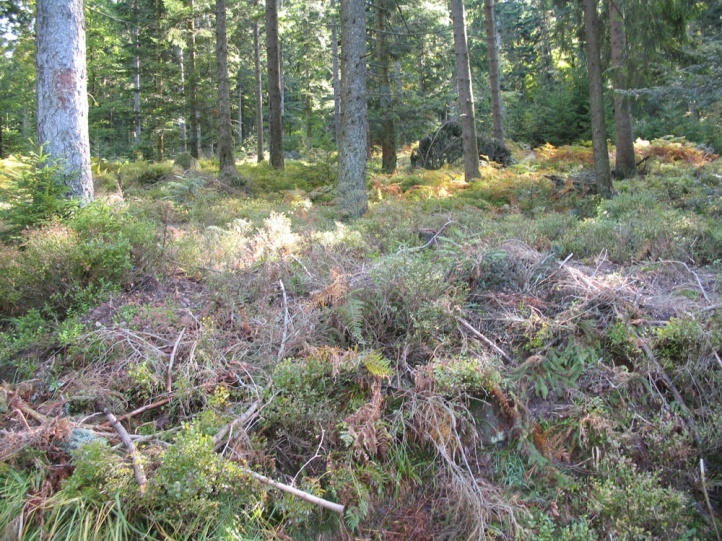 Hyppa rectilinea inhabits particularly acidic soils, slightly humid and montane coniferous forests and edges of bogs. 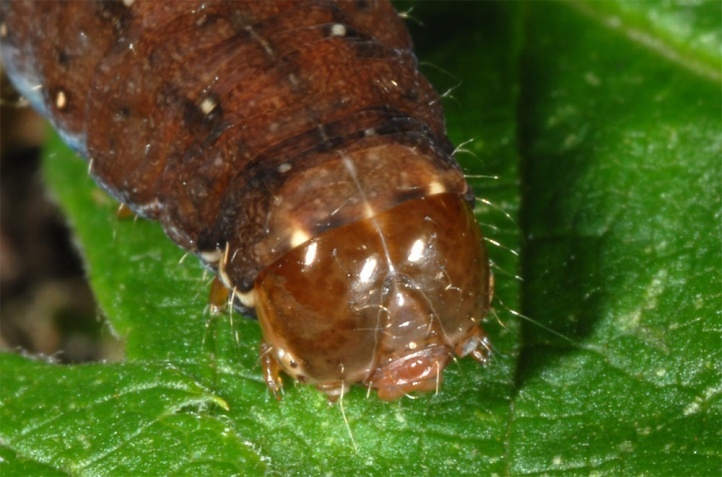 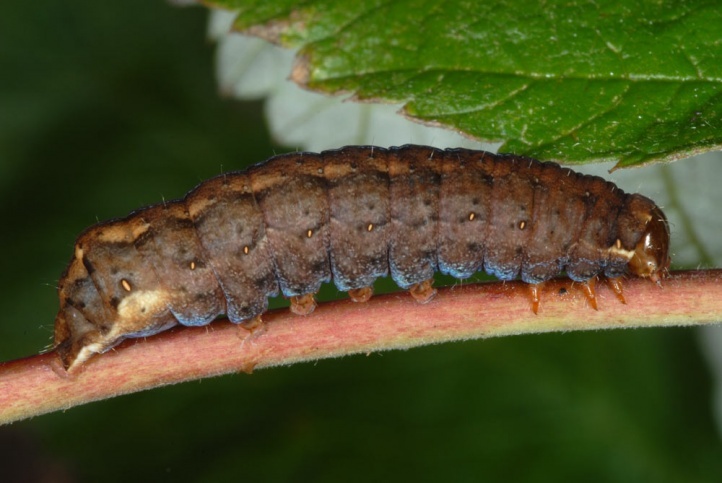 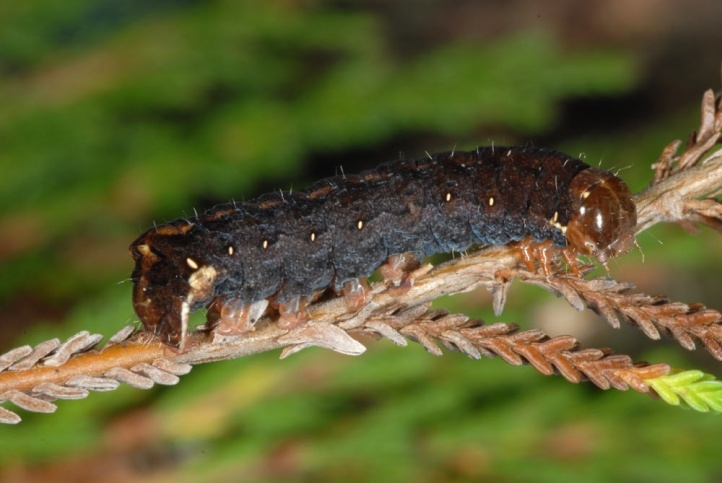 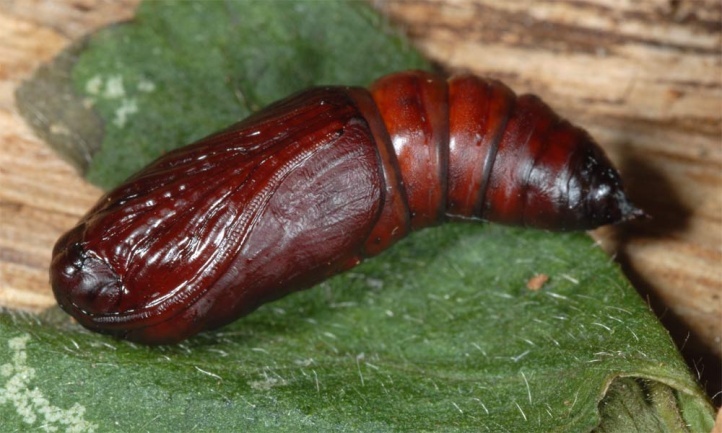 The caterpillar overwinters in last instar and does not feed in spring again. 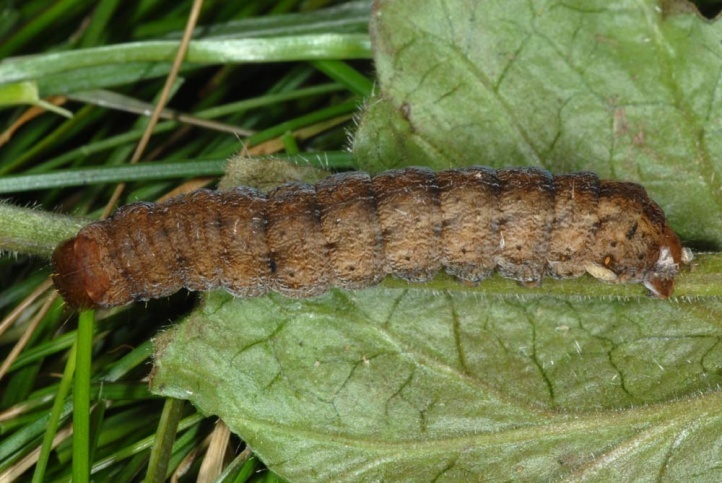 This is reached in late September or in October. 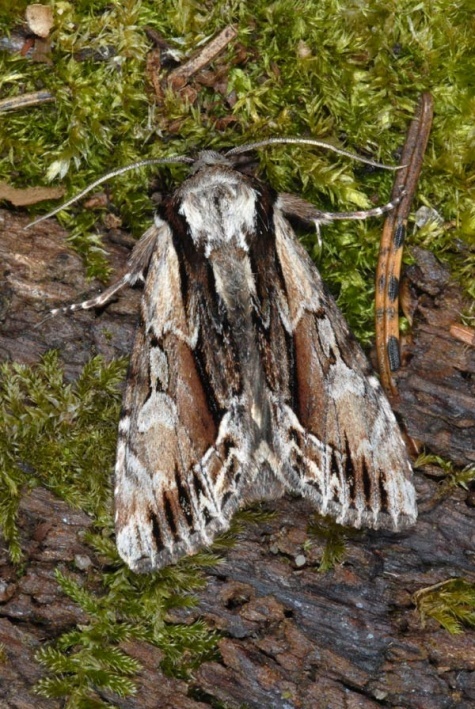 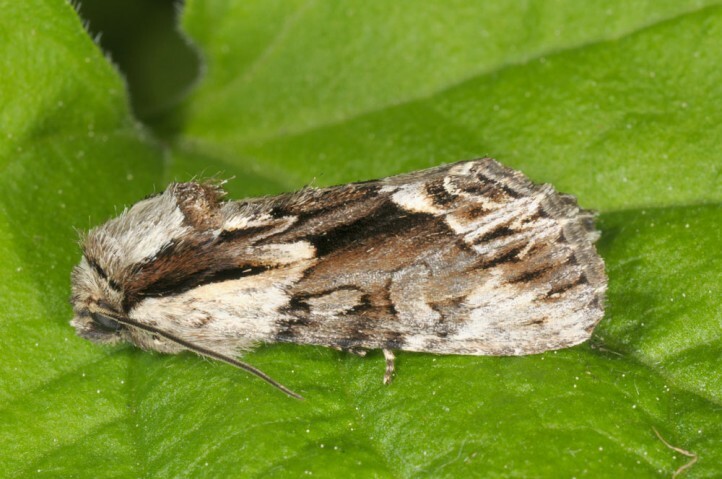 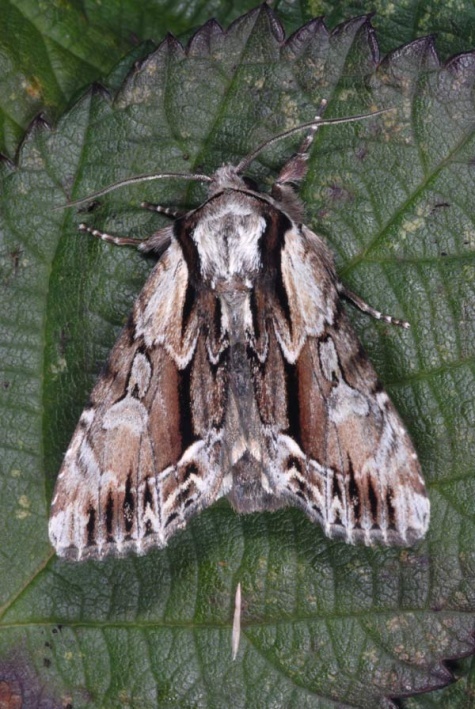 The moths fly from late May to late July. 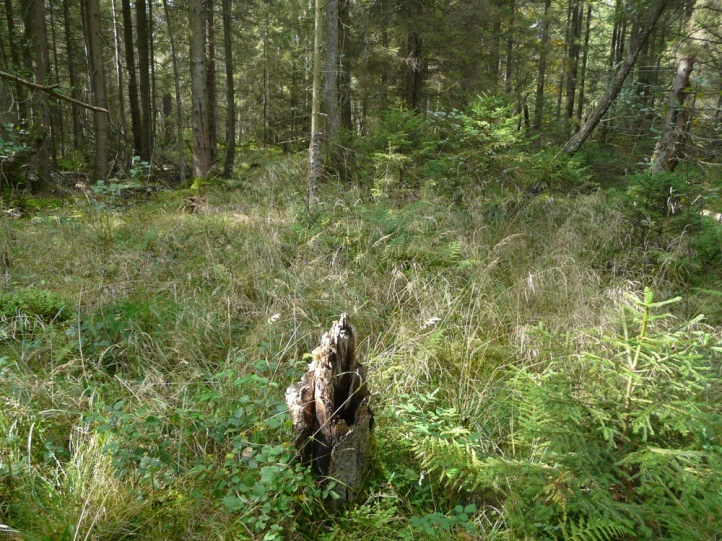 Light forest structures go lost more and more. 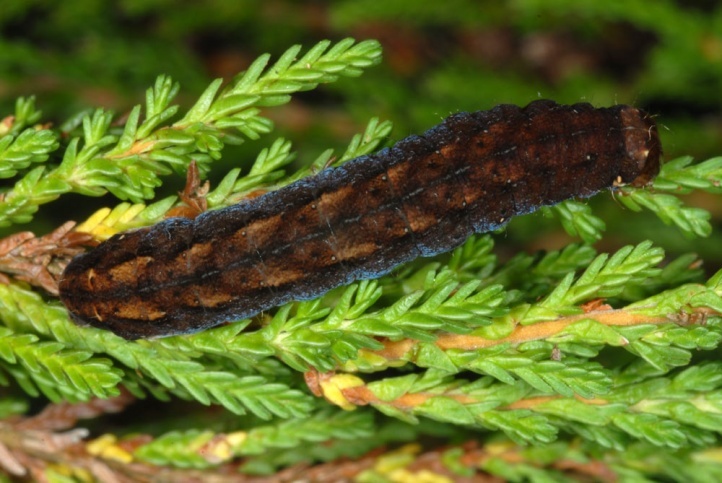 Besides bogs are extremely vulnerable. 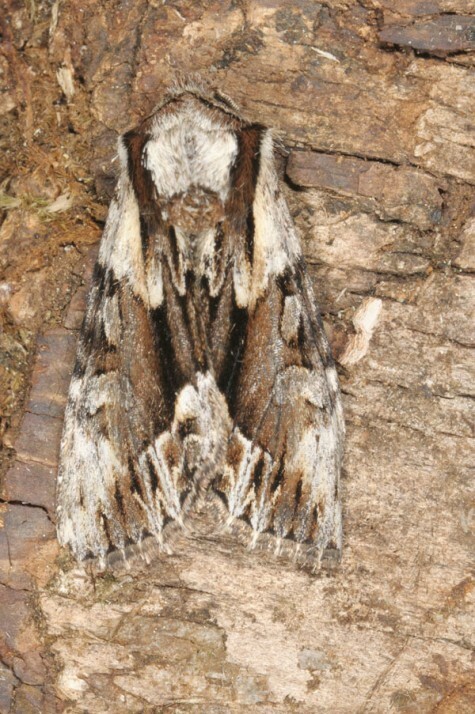 The distribution extends from the Pyrenees across Central and Northern Europe and on through the conifer zone of temperate Asia to the Pacific.